Two pack of whole raw frozen quail with head, feet and feathers raised sustainably in California. They have been split in half lengthwise and then vacuum sealed for easy serving. Quail is a great novel protein for many animals, and small enough to be a natural prey to cats and dogs. 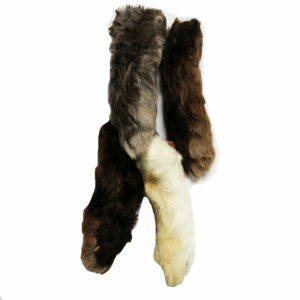 In the wild, cats and dogs will eat the whole prey, the head, feet and feathers acting as a natural fiber source. Safe to be fed to cats and dogs as a treat by itself or in addition to their meal. 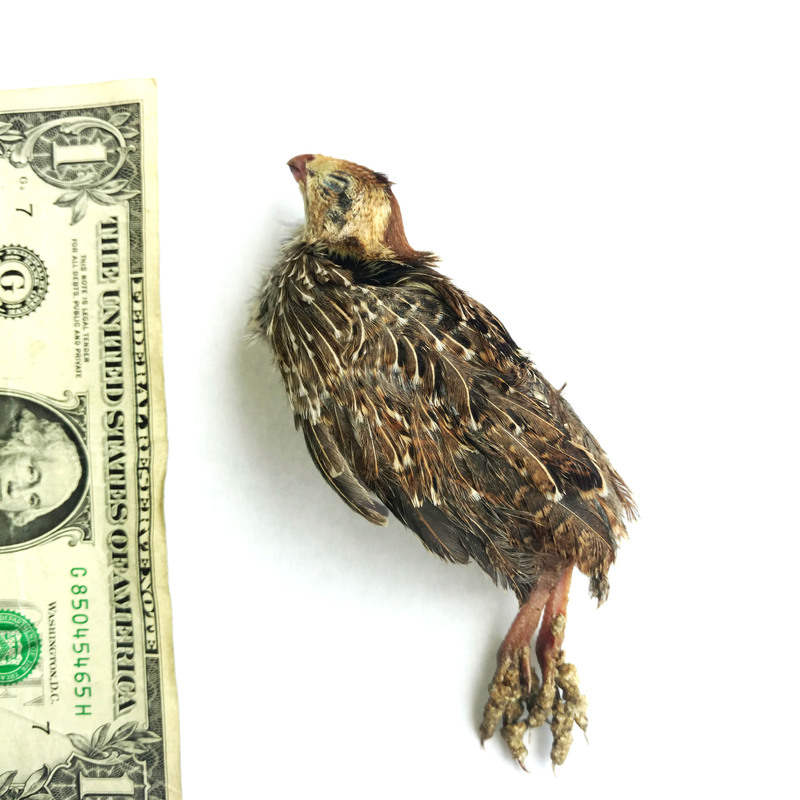 Color will vary, one quail weighs an average of 3-4 ounces. First time? 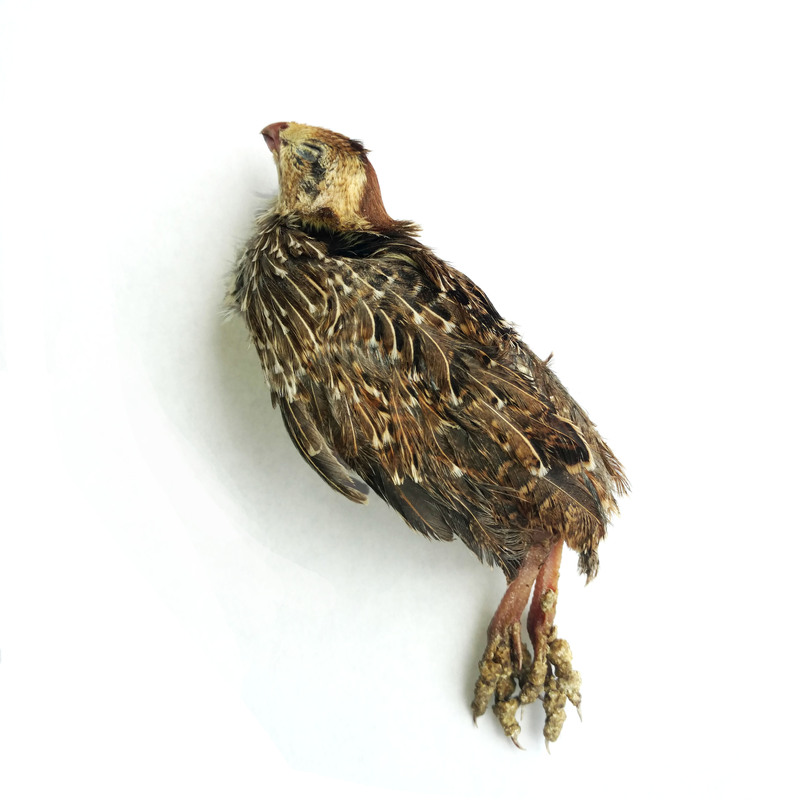 Some pets are not familiar with quail and it will take a while to transition. Exposing the cut side, topping and mixing with their favorite foods should help. Don’t give up! Sometimes all it takes is a little time. 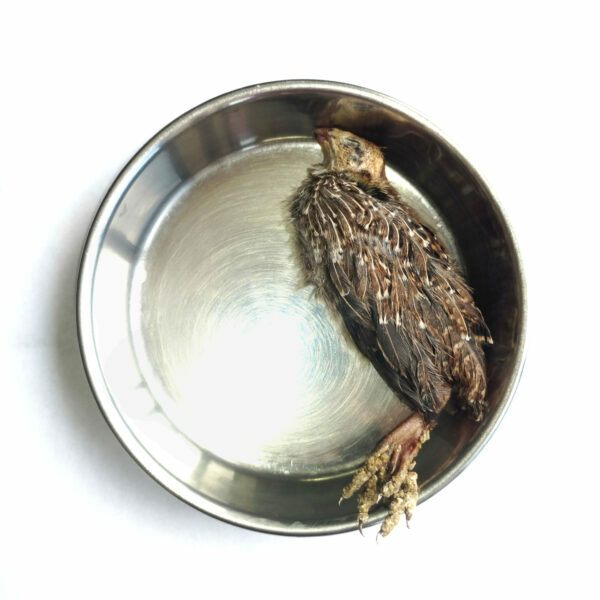 Quail are shipped frozen with dry ice. All frozen orders will ship out on Mondays for 1-2 day delivery. 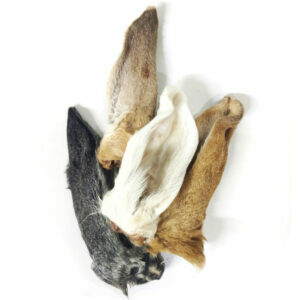 Whole raw quail with head, feet and feathers, split lengthwise. Defrost fully and feed as a treat to dogs and cats or as a supplement to a complete meal.